Last edited by klw; 09-06-2014 at 03:33 PM. Need to find out what is setting off the metal detector - happened again! 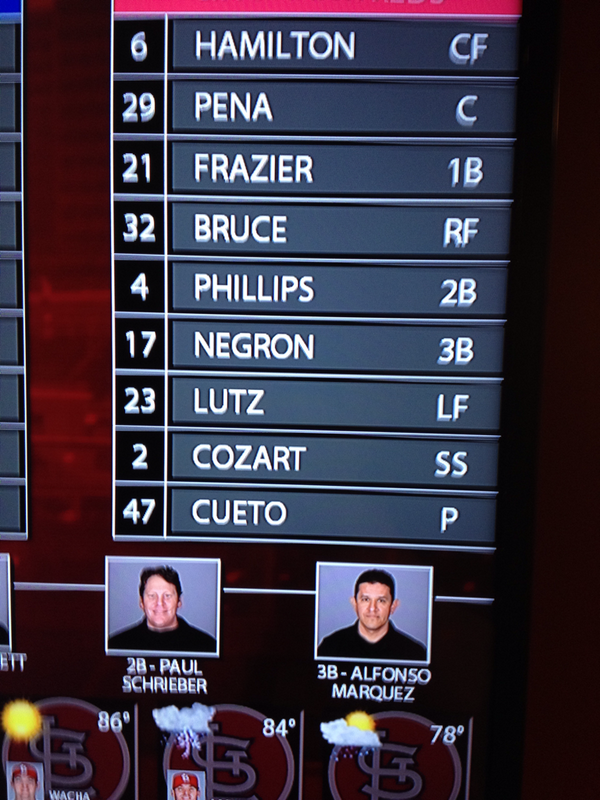 I think today is "help Cueto win 20" day so he is using some vets. Tomorrow I think we see Yorman, et al. Hmmm. Think I'll go watch a Fall baeball league game instead. Less frustrating. However, the only good game the team has had in awhile, was when they started the youngsters. If I'm Cueto, I want them behind me the rest of the season. German Heritage Night so that might be why Lutz is starting. too bad the guys won't be donning lederhosen to lighten up the game. @johnfayman: #Reds are 6-3 since AS break when Cueto starts; 9-28 when he doesn't. PEna should catch all games. Bench Mesoroco- its the only clear answer. Bust! But, but wasn't one of the games Pena was hurt and Rocco had to catch Johnny? With the outcome of this season already a foregone conclusion, why can't Price do some experimenting. Like put Mesoraco at 1st, or in LF. I am already tired of Price's way of managing, and he hasn't completed 1 season yet. As soon as Meso started hitting this year I said to teach him first base. At this point I'd have to see him fail there to believe he can't play it. Bruce was bad and Frazier was bad his first 10 games but is ok now.